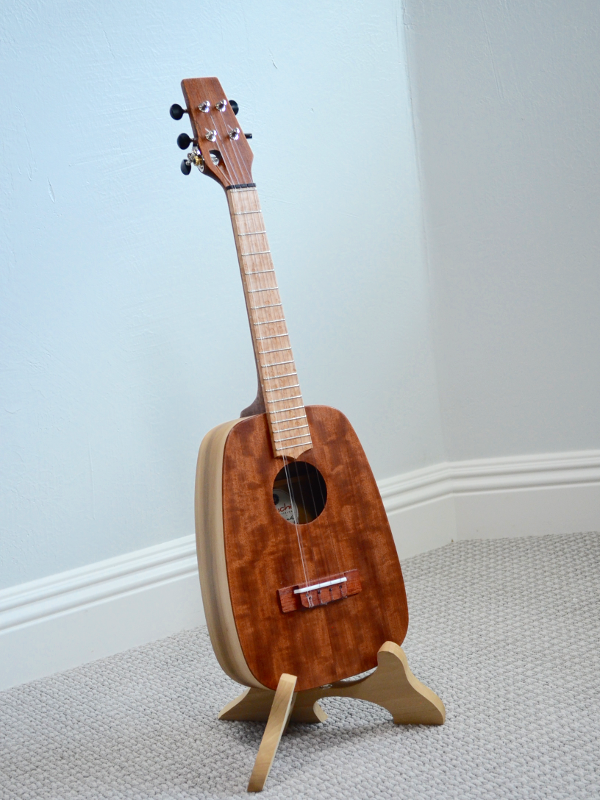 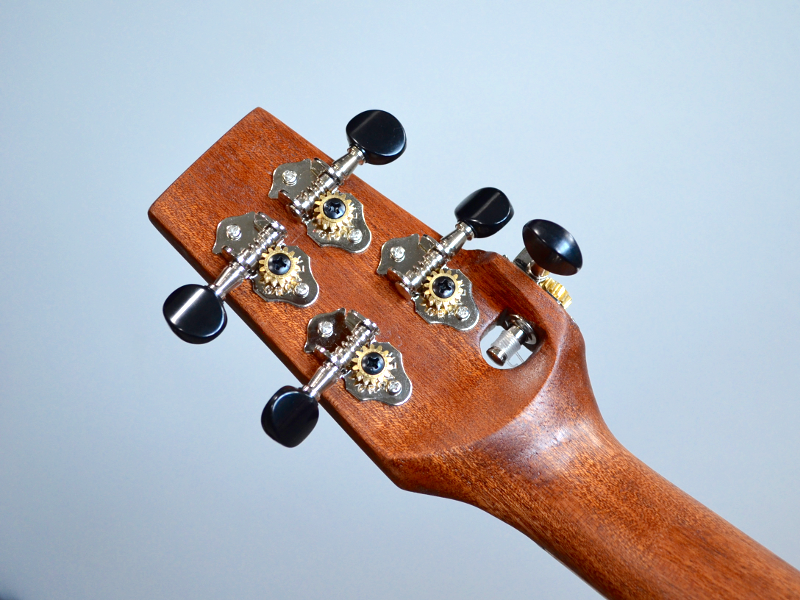 “Shine” is a Keystone, acoustic/electric, 5-string tenor in curly Makore and Poplar. 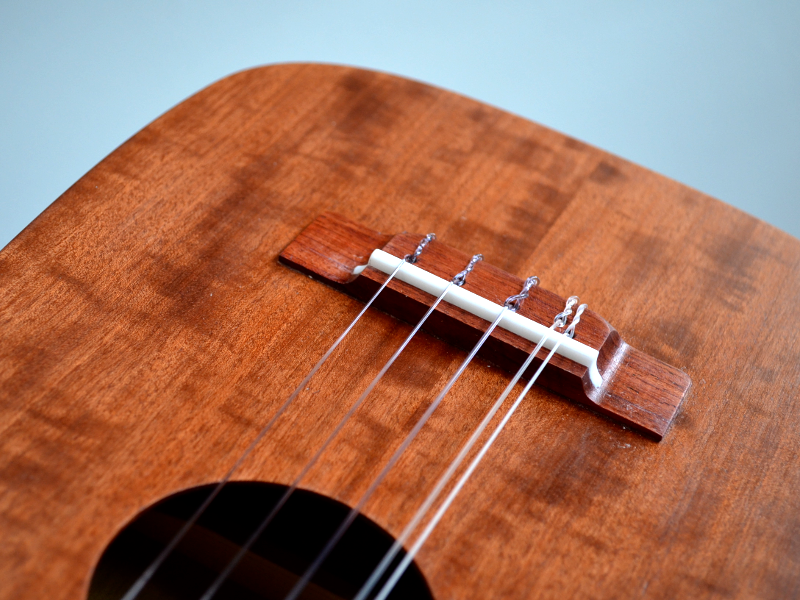 She also includes a K&K Sound Aloha Twin pickup. 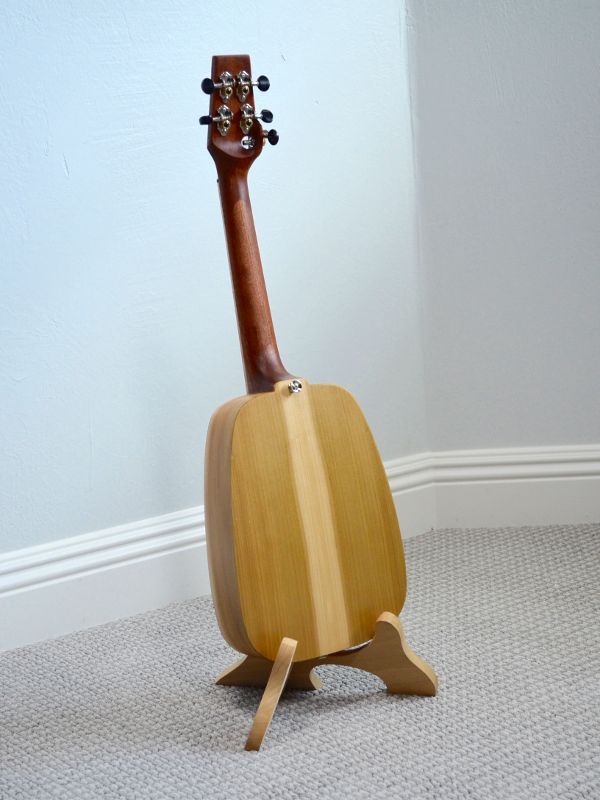 “Shine” gets her name because of her curly Makore soundboard. 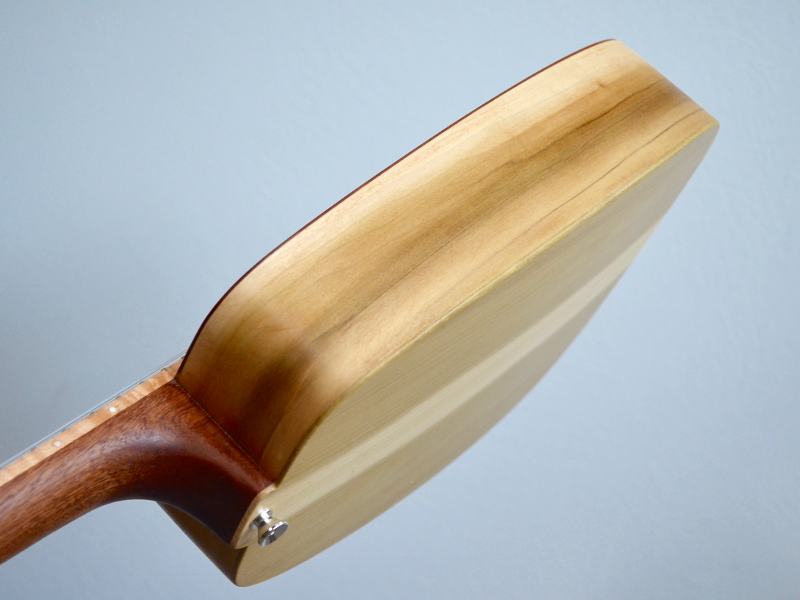 The curly Makore shimmers and glistens. 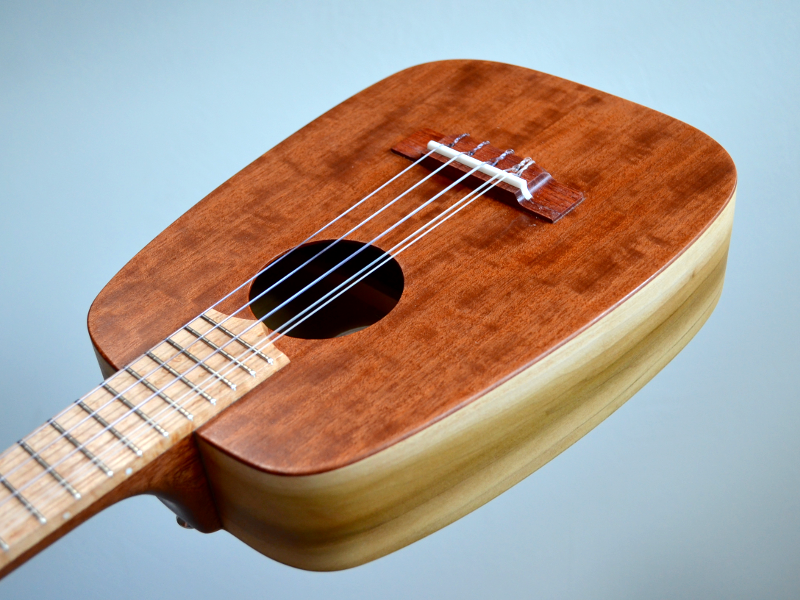 It feels and sounds very much like Mahogany. 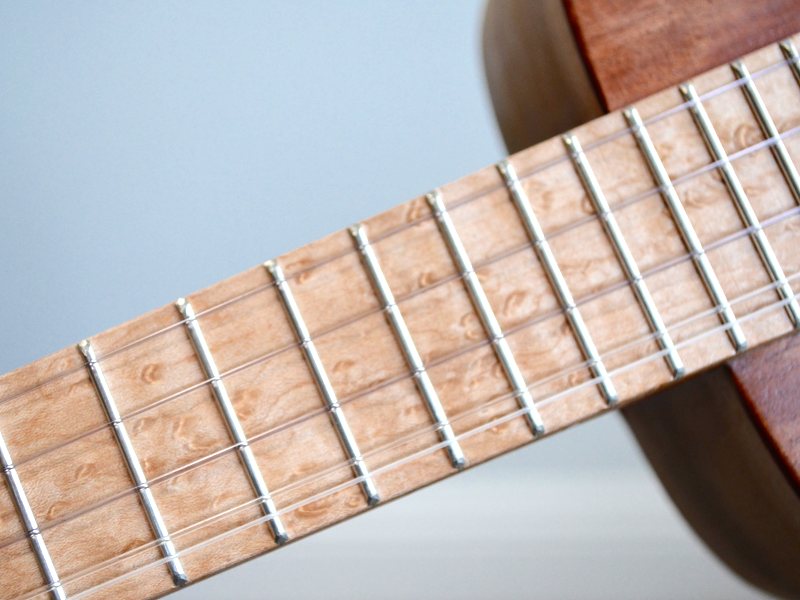 She also has a birdseye Maple fretboard which is both beautiful and durable.